Exactly 72 years ago from today on 23rd March 1940 Pakistan resolution was presented at the location of Minar E Pakistan Lahore about making a separate Country for Muslims of Subcontinent where they can live freely without fear of Hindu majority. In memory of that resolution on 23rd march every year people of Pakistan celebrates Pakistan Day. 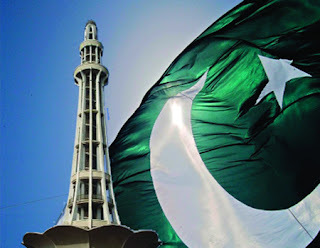 Today on 23rd March 2012 people of Pakistan are celebrating 72nd Pakistan day with great zeal and excitement. Different Ceremonies are organized all over Pakistan regarding this day. last night People of Pakistan all got a gift of Pakistan day by Pakistani Cricket team who won Asia Cup. 23rd March makes us remember that we can achieve any goal if we work hard with honesty. Today when Pakistan is going through Situation we need to understand the message of 23rd March even more.